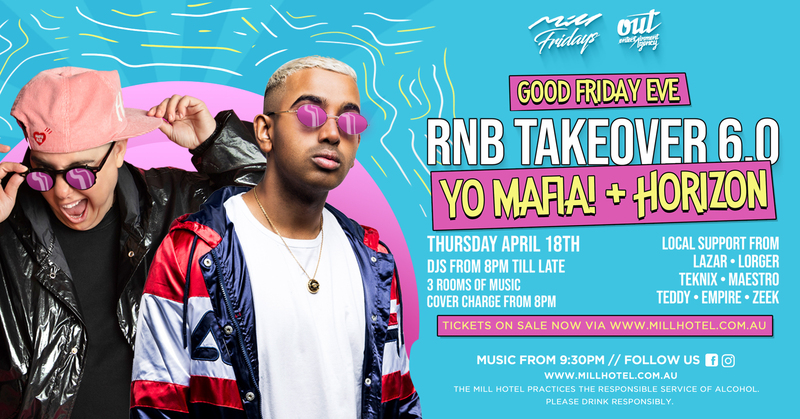 We've got a massive RNB Takeover coming to The Mill this Good Friday Eve, Thursday 18th April! YO MAFIA! and DJ HORIZON will be hitting the decks to kick off your Easter long weekend, along with support from some of Sydney's best DJ's!